Last Week the Boyfriend surprised with a trip up to Inverness for a long weekend for my 27th birthday, I feel the big 30 ever looming over my head. Despite, travelling to Western and Eastern Europe, USA, Ireland and India to Goa. I’ve never explored my back yard. In geographical terms, I 'm only 60 miles from the Scottish Border, certainly, Scottish culture has influenced my part of the world. With they're a various lack of borders during the 14th and 16th century with fluxes of Border Reavers stealing cattle from various family and clan disputes occurring over centuries. We stayed at Daviot Lodge family run B&B rate a five-star accommodation and has won numerous awards. The accommodation we stayed in was an extremely luxurious bed and breakfast that was about five miles outside Inverness city centre, but an ideal location to see all the local attractions. The location was a wonderful as we were a mile or two from the main road it was extremely quiet and it was ample for sleeping conditions with no intrusive sounds or lights. It's ideally located to have access to all the attractions. 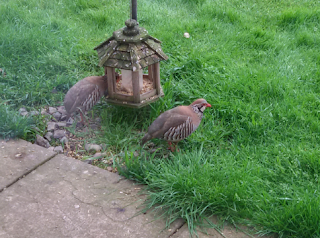 In the morning during breakfast, it was delightful to see the birds feeding in the garden with even a couple of partridges. Neither of the boyfriend or me drives; we had relied on taxi’s to get to Inverness. The location was amazing being in the middle of nowhere, one night, I was able to see the Northern Lights, unfortnaully it was cloudy but still impressive to see. On first impressions, we were greeted by the hostess with a traditional Scottish welcome and orientation of the B&B necessaires. The entrance hall had quaint and homely with the red velvet Queen Anne style settee and chairs with a coffee table in-between, and on the table various magazines were spread on it relating to different themes about Scotland. In the corner was a faux fireplace with ornate black flower fire guard decorated with glasses on the fire gaud holding lit candles. The hallway was lain with a sumptuous purple and green tartan carpet adding to the Scottish theme. My favourite part of the hallways were the two teddies sitting on the chair, very cute. Upon entering the room, we entered a tastefully yet modern bedroom with a colour palate of cream, golden ochre and natural wood painted in dark pine, which made the room feel comfortable with a homely charm. In the centre was a large comfortable dark leather brown bed covered in an opulent golden jacquard patterned bedding, we both tested the bed, it's one of the most comfortable beds I’ve slept in. On a chest of light, oak drawers in the centre of the wall with an assortment Croft Sherry held in a glass decanter and glasses served on a silver tray with paper doily underneath. Three small candles in a row were lit adding and creating a romantic ambience. In the corner was a small tray of a travel kettle and various crockery and snacks of orange flavour shortbread to accompany the beverage. No doubt I'll get in troube for posting this lol, never mind. The boyfriend comfy in bed. The bonus was breakfast included in the price in comparison to another place that charge for overpriced breakfasts with dubious quality. Breakfast orders were submitted the previous night before 10:30 pm, which was a reasonable request as our hosts liked to retire about that time. 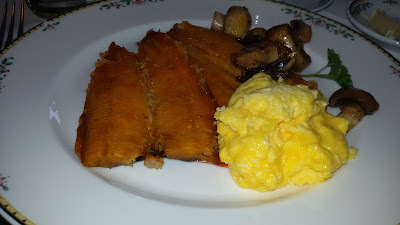 There was ample choice on the menu; I chose altered between salmon and kippers, I love fish and chose the scrambled eggs. The breakfast was freshly cooked with all the ingredients locally sourced; the breakfasts were very tasty and excellent, good quality. The cooked breakfast were reasonable portioned but with the selection of fruit, yoghurt, cereals and toast filled me up for the day. There were wide selections of high-quality teas, and the coffee was genuine coffee, a Columbian fair trade blend. Overall, I loved staying in this B&B everybody made us feel as though we were more like friends than guests staying in the B&B. Also what I found amazing was that the hosts offered us a lift into a few places after we were quoted obscene prices to go somewhere in a taxi. They offered to pick us up if the got stuck anywhere that to me was beyond customer service and very grateful for their time and efforts. I loved everything about the B&B felt the owners went more than out of their way to accommodate us, which is something I've rarely encountered. I loved the homely and relaxed atmosphere. I would highly recommend this place and would love to go back. 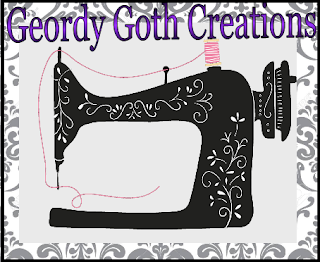 UpdateI've added my own pictures. and removed most of souce photoes.